A full roof replacement is arguably among the largest home improvement projects, so careful planning is important to ensure success. In this context, a successful roof replacement means the roof is exactly what you wanted, is within budget, and is finished on time. It should also not reveal problems in the long run. While it’s good to know that you have an extensive warranty, never needing to use it is a sign of a truly successful roof replacement. 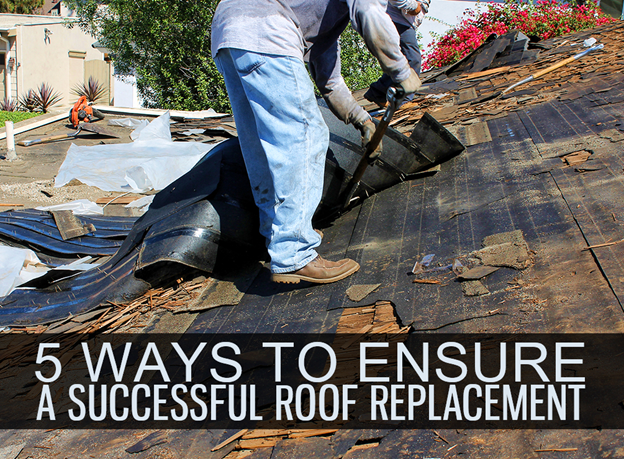 While you’re still planning for your roof replacement, there are five ways you can ensure its success. List what you need and/or want. Before soliciting quotations from roofing and siding contractors in Manassas, VA, make a list of the things you need and want. If you’re in a windy area, you would want to buy shingles with high wind ratings. At Peak Roofing Contractors, we offer an array of roofing choices from GAF. Their shingles are among the top options in the industry today. Hire local. There are so many reasons hiring a local contractor is a great idea. For one, they ae familiar with local building codes, and the local weather. Our company is among the trusted names in the area. We have served the neighborhood for their home improvement needs. The right timing. Roof replacement isn’t exactly something that can be finished in a weekend because of the amount of work needed. Additionally, it’s generally disruptive, with all the workers moving about, the noise, and all the mess involved. Planning the schedule is advisable to make sure it’s finished in a timely fashion, and with the least amount of disruption as possible. Keep a record. Have a notebook or binder that records everything about your roof replacement. This is where you record your thoughts about the process, attach copies of receipts, jot down ideas and things you might want to ask your contractor. For instance, you might need to replace your gutters in Manassas, VA, next. Compare warranties. A trustworthy company would be upfront with the kind of coverage their warranty entails. Review your options before committing to hiring them. Look for roofing warranties that offer extended coverage on both materials and workmanship. If you’re looking for a reliable handyman in Manassas, VA, that can help you with these and more, consult Peak Roofing Contractors. We have the products, services, and experience to meet your roofing needs. Call us today at (703) 745-5153 or fill out our form.